All-Natural Lawn Drought Treatment is a concentrated preparation of naturally occurring bacteria & bio-degradable wetting agent for the maintenance of hanging baskets, tubs & lawns. Strong, lightweight and affordable, this quality Garden Trowel and Fork set is a must for any gardener. Make light work out of pulling weeds with Grampas Weeder, no more sore backs. Turn grass, garden waste and left over fruit and veg into nutrient rich compost, with Greena® Compost Maker. This high-quality elevated garden planter is ideal for urban/country gardens, patios, decking and verandas and is perfect for growing fruit, vegetables, herbs or decorative plants. This high-quality timber Potting Bench is perfect for potting and tending to seedlings, plus many other gardening tasks, at a comfortable height​​​​​​​. Create an instant weatherproof non-slip path, walkway or patio in minutes with the Greena® Garden Tiles. Keep lawns and flower beds neatly separated with this attractive hammer-in edging. MULTIBUY OFFER - Add 3 to cart and only pay for 2! 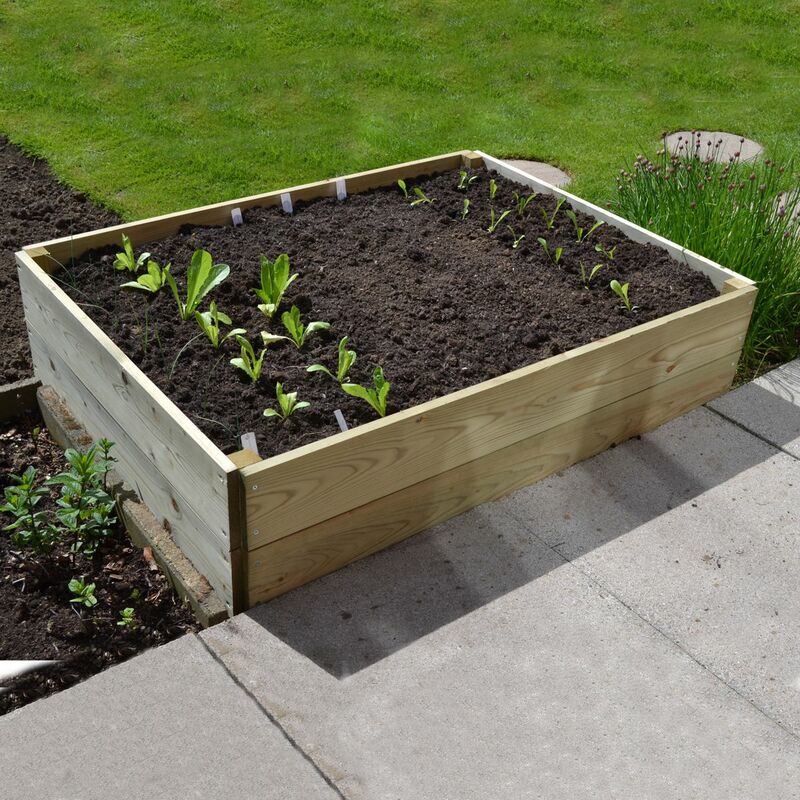 This quality Hexagonal Timber Raised Bed provides the ideal growing conditions for fruit, vegetables and herbs, but can also be used as stylish planters for flowers. Keep lawn edges neat and tidy with the Lawn Edger. These Lightweight Long-Handled Shears are made from a tough aluminium alloy and because they are ultra-lightweight can be used for long periods without feeling the strain. Recycle old newspapers into biodegradable pots for seedlings. This handmade and hand painted wooden garden sign is the ideal gift for the keen gardener or a loved one. Rectangular Timber Raised Bed provides the ideal growing conditions for fruit, vegetables, herbs and flowers. These Strawberry Planters are designed specifically for use on smaller patios and balconies, allotments, or in small gardens. The Thingamadig is an essential gardening tool for every home. Tree Tubs are the ideal solution for planting trees where you have no access to arable land. Weed, hoe, cut & more with the versatile Weedmate Handtool - Probably the only weeding tool you will ever need.